Yeah yeah, this year was the 50th anniversary of Doctor Who. Well done there, longest-running science fiction TV series of all time. But what’s much more important is that December 21 is the 50th anniversary of the Daleks, the Doctor’s first and greatest enemies. My appreciation of the superior lifeform of all time and space is on KQED Arts. 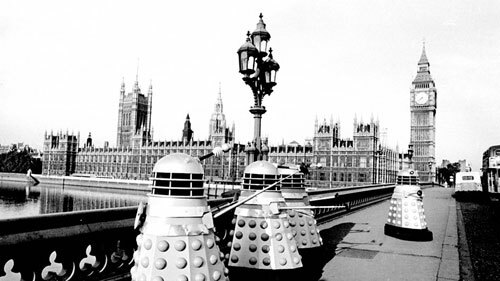 “The Dalek Invasion of Earth,” 1964. TV: Well, Hello Daleks on KQED Arts.